The lucky leprechaun that finds this pot of gold is in for a surprise. Inside the pot is a fun caramel apple treat. 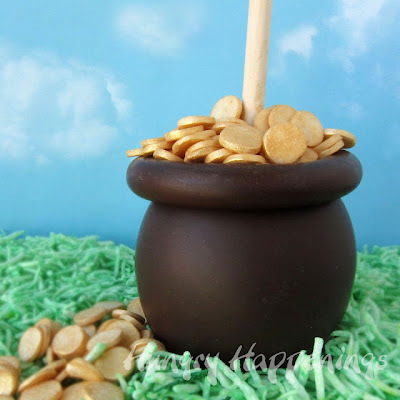 Beth made it and will show you how to make your own pot of gold caramel apple over at Hungry Happenings. Thanks for sharing my caramel apple pot of gold with your readers. It is really a pretty simple idea that looks really amazing for St. Patrick's Day.